This is one of those books where I really can't decide if I liked it or not. There is much to recommend it, but it also has a couple big problems that are hard to overlook. I will say that I really enjoyed Garvis-Graves writing. Her prose is clear and her dialogue is snappy. She also creates a nice feeling of place--I could feel like I was in Minneapolis with these characters. Setting is something that I frequently find lacking in romances, so it was nice to see it so well done here. I like Kate as the heroine. She was strong, yet vulnerable; noble, yet a little bit naughty. That being said, I had real issues with Ian and Kate's relationship with him. Ian is, how should I say this?, definitely a bit creepy. Before they actually meet, he has hacked into Kate's computer, checked out her browsing history, and ordered her lingerie from Victoria's Secret. Yes, Kate makes note of his "boundary issues," but that is quite an understatement. It might be because I had my dealings with a few guys with "boundary issues" in my dating days, but Ian just made my skin crawl. My other major problem problem with this book is that, for a big chunk of it, nothing actually happens. There's fun dialogue and some rather descriptive intimate scenes, but the plot just comes to a screeching halt for the middle half of the book. I wish Garvis-Graves had come up with something to beef up the plot or just settled for a novella, which is what the existing story really needs to be. So, it was an up and down ride for me. 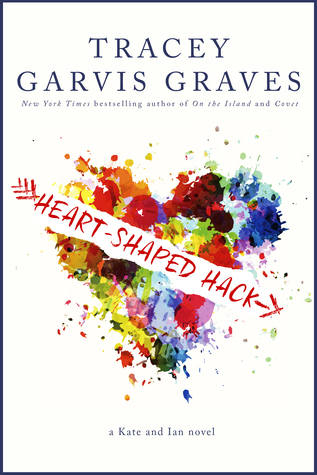 I am definitely interested in reading more by Garvis-Graves, but I would probably recommend this one for a reader who has a higher tolerance for creepy heroes and thin plots than I do.